Lexington, KY - The Board of Directors during this year's United States Equestrian Federation (USEF) Annual Meeting approved new helmet rules for riders in both eventing and dressage - just two weeks after dozens of stakeholders in equestrian sport met with the goal of improving rider safety across disciplines. 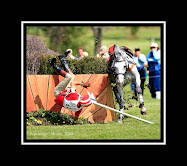 "If the technology is available to reduce head injuries, the time to use it is now," said USEF President David O'Connor. "I am very proud of our organization for taking this very important step. It is a huge direction of change." Briefly, the first rule change requires anyone on a horse to wear a ASTM/SEI-approved helmet at all times while mounted on competition grounds at U.S. nationally rated eventing competitions. The rule change is effective immediately. The United States Eventing Association (USEA) helped shepherd the rule change through the USEF committees during USEF's Annual Meeting. "The attention to safety in eventing has led to a 40 percent decrease in rider injuries between 2007 and 2011," said Malcolm Hook, USEF Eventing Safety Officer and chair of the USEF Eventing Technical Committee. "The Eventing Technical Committee could see no reason to delay implementation of a probably inevitable and statistically justifiable rule change in an effort to continue this encouraging trend." 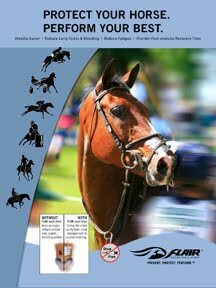 Additional details regarding the changes to the rules for Protective Headgear for Dressage (DR120.5) will be posted here in the future: http://www.usef.org/_IFrames/RuleBook/Changes/2011.aspx. The USEF Board of Directors approved both the eventing and dressage helmet rule changes on January 23 at the conclusion of USEF's Annual Meeting. Sara Ike, USEF managing director of eventing, said that while eventing riders long have been moving toward tougher rules, it wasn't until early 2010, after Olympic dressage rider Courtney King Dye was seriously injured in a riding accident that the dressage world began to seriously consider stricter helmet use. "Dressage riders called the Courtney King accident their '9-11,' " Ike said. King Dye, who remained in a coma for a month following her accident, was not wearing a helmet at the time of the accident and currently is undergoing rehabilitation. Earlier this month, a Riders4Helmets Helmet Safety Symposium held in Wellington, FL, was deemed a huge success by participants at the event. Representatives from USEF, USEA, the United States Dressage Foundation, the United States Hunter Jumper Association, Racing, Polo, Helmet Manufacturers, Helmet Testing Authorities, Leading Equestrians and Medical Experts met with the goal of improving rider safety - and left pledging to work together across the disciplines to do just that.